"In 1999, through my good old friend Garry Lee at The Starship Overflow, I got to know a guy called Ian that ran a small radio station in the south of England; Supanova Radio. I was sending music to him from our Stone Premonitions collective and he gave us a lot of airplay and I got to know him quite well. One day he suggested that I put together a radio show and at first I thought it was a ridiculous suggestion. He told me to put the show together like I would produce a Census Of Hallucinations album so I thought sod it, I'll give it a go. In a nutshell, twenty years later and I'm still being a DJ. I wouldn't be if not for all of the wonderful and most helpful DJs and Independent radio stations that have helped along the way. Originally the show was called Alchemical Radio and Terri~B did the voiceovers. 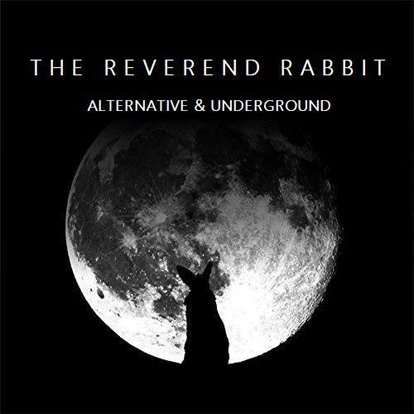 Eventually Terri needed to work on other projects as the radio shows were taking up too much of her time, so we summoned The Reverend Rabbit into this dimension and now we can't get rid of him." Captain Garry Lee we know very well, of course, and you'll find a similar feature on him a few pages back. I remember the names of Supanova and Alchemical Radio too, natch, the latter was hosted through the mighty Jerry Kranitz' Aural Innovations website (amongst other places), which should give you a broad idea of where Tim is at musically. 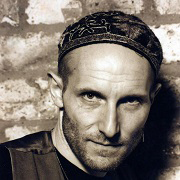 Although he doesn't publish playlists, he's happy to describe his show as "an eclectic mix of Classic Rock, Progressive, Psychedelic, Jazz, Folk and Independent sounds." The new show came about in 2017, going out on the River Gibbs network Sunday nights at 22:00 UK local time, getting repeat airings Monday mornings at 09:00 and Wednesday evenings at 19:00. It also gets Sunday re-runs on KOWS out of California, courtesy of Don Campau, who you'll also find a feature on a few pages back. And should you miss all of them, try harder! No, seriously, the Rev is busily archiving the shows on Mixcloud now, so you can go back and experience this aural joy at your convenience. As well as being kind enough to give our remastered "Creavolution Reborn" CD an airing on his show ("Kronophobia", I believe, good song, crap singer), Tim remains creatively active as well. He's going to have to let me in on these where the hell he finds the time from secrets at some point. I get out of bed in the morning and it's time to get Twizz off the school bus in the afternoon. W-h-o-o-s-h! I don't know where the days go. I bet Tim does. I bet he can point to a cupboard, tap his nose knowingly and wink. But I digress, which as you'll know, is most unlike me. Yeah, new music - Tim's band, The Bringers Of Change, have a new album due out on the Falling A label on Monday 22nd April, which I've arranged to be a public holiday in the UK for my official birthday celebrations (it falls on the weekend, Sunday 21st, seemed unfair you should miss out). He's also working on a solo project to be called Chatter H, featuring songs about the Thatcher era (probably not complimentary), also due on the same label along with some archival reissues by Census Of Hallucinations and (on vinyl!) Punching Holes , the latter being a band Tim strutted his stuff with back in the early 80's. Tim - PUT YOUR FEET UP, MAN!